Within the Thought Leaders curriculum we use a number of different frameworks - basically documents that help us to carefully think through a problem and ensure that we 'cover all the bases'. 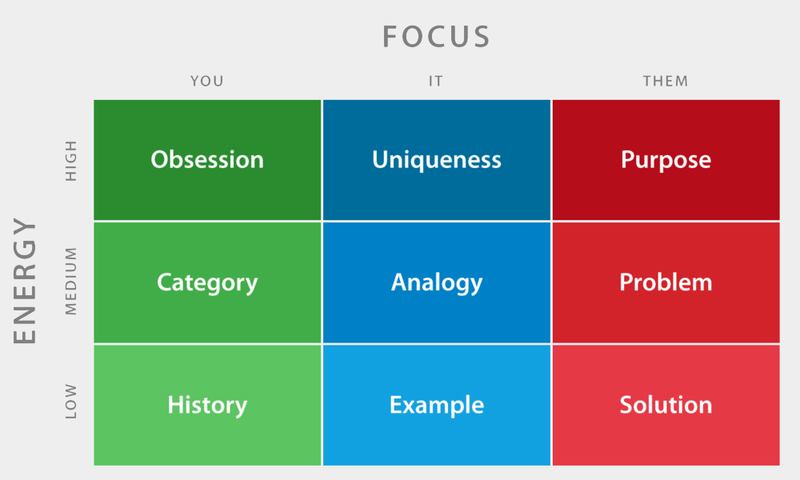 One of the key frameworks we rely on is the Positioning Matrix. A thought leader's job is to think, sell, and deliver; and when you're selling, you're selling you. It can be difficult to know how to talk about yourself in a way that is inspiring but not arrogant, in a way that is relevant without being boring. The Positioning Matrix is the tool we use to drive that conversation. It highlights the best parts of your history, your experience, your knowledge and your personality and packages it up in such a way that you can deliver it in a coolly humble manner. As Thought Leaders Mentor (and black belt) Georgia Murch describes in the video above, a little bit of work in the Positioning Matrix can have a big impact on your practice. The framework itself is quite straightforward. We've reprinted it below, and you can learn more about the process from Matt's Talking Point: Positioning 101. The most important takeaway is that a thought leader must always obsess about positioning, and this tool helps you do that, the right way.